Axumawi: 'citizen Jonathan Dimbilby' not 'Sir Jonathan Dimbilby' made that BBC doco Derg used to remove Haile Selassie. Thanks. But, it was a plain-old & royal-title-less Jonathan Dimbilby who made+reported that BBC program on the 1973-75 terrible famine that made Ethiopia world famous (rather infamous). In the civilsed world, it is not a correct practice to rebrand a person's work retrospectively - unless doing so is deemed very relevant to the story. Single-handidly & overnight, Mr. Dimbilby's 1974 BBC report redefined the very name 'Ethiopia' as the by-word for 'famine' in the minds of billions of people around the world'. So much so, the name/word 'Ethiopia' appears in the Grand Oxford English Language Dictionary & in America's Websters' English dictionary as a synonym for the word 'famine'. Dimilby's BBC report was used by the youngish Derg leaders as the best narrative or excuse to remove Emperor Haile Selassie from power a day or so later, after Dimbilby's BBC report was re-broadcasted on ETV [Ethiopian TV] with an Amharic narration/translation. Dimbilby made few other programs on Ethiopia for the BBC & one of them involved a revisit to Korem & Meqelle famine feeding stations where a dying child was used as a poster child of an Ethiopian tragedy (famine) around the globe. 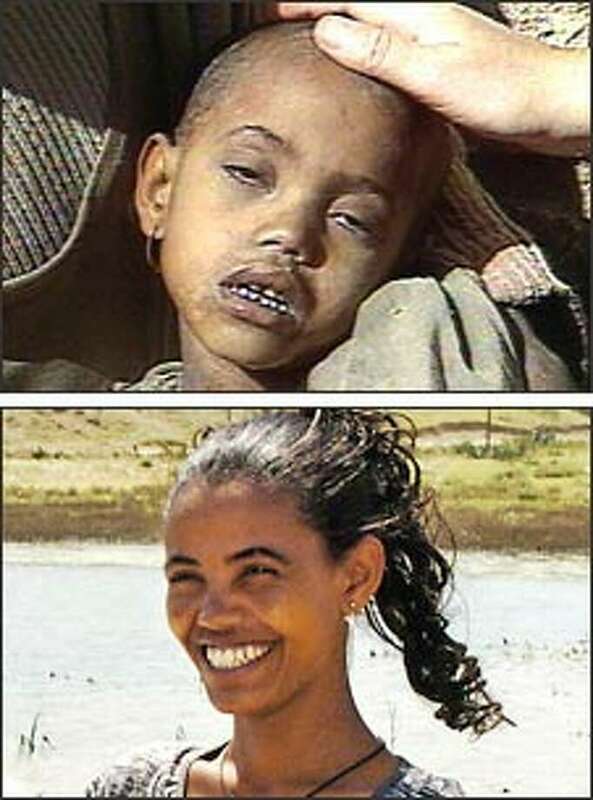 That child - Birhan Woldu - survived & grew into a good-looking woman & was member of the TPLF party in Tigray. Dimbilby interviewed that woman (Birhan Woldu) & TPLF cadres fanned the whole thing by telling the whole world that: "famines are all in the past in Ethiopia &, that, they (woyanes) made Tigray & Ethiopia a mini-paradise in Africa!" This time, the BBC report was narrated by 'Sir Jonathan Dimbilby' & he entered another chapter of Ethiopia's history of famines as a 'ferenji who echoed the utter lies & regime propaganda' to deceive billions of unsuspecting world tv viewers. Of course, the lives of millons of Ethiopians hardly changed &, in fact, gotten worse. Another Briton - an Irish-Briton singer named Bob Geldof - was made famous by another even worse famine that happened merely a decade after the one that made Dimbilby world famous. Of course, this was the 1984-1985 famines of Ethiopia that happened under the watch of the Derg regime. Like Jonatahan Dimbilby, Bob Geldof too was knighted for saving millions of starving Ethiopians. Today, Bob Geldof is referred to as 'Sir Bob Geldof'. I am sure that both SIR JONATAHN DIMBILBY & SIR BOB GELDOF will live to see another terrible famine in Ethiopia & even get to report it. Poor Ethiopia! photo: a dying child (Birhan Woldu) in Meqelle's (?) famine feeding centre that was made the poster-child of famine-stricken Ethiopia by Jonathan Dimbilby's BBC report in 1974.
video: 'Wollo + Tigre Dirq' 1973-75 - (BBC report on the biblical famine in northern Ethiopia by Jonathan Dimbilby). Both droughts became famine and then starvation by Ethiopian governments. The Police and Army was used to gather the people even from as far as Addis Ababa and return them insrtead of feeding them with the Army and Police. There was I think some celebration in Addis and the bad image of starving Wollo was to be hidden. At that time they were Tigreans in Wollo, they were not Amhara......that is why we say its insult to call the people now Amhara. Derg also repeated the same. He refused foreign agencies to help including Red cross. A Canadian foreign minister was passing by the area and one of his officials told him the famine in Ethiopia is getting worst. The government has prevented aid agencies including Red Cross, the government is bombing aid that the rebels bring through Sudan. Sir I just got a terrible news...what is it..
A child has been pictured trying to breast feed itself from his dead mother. The minister told the officials to turn around the plane and go to Addis Ababa.. If you do not announce unfettred access to red crosss and other agencies long before I get home, there will be 10 countries that will recognize the rebls and your regime will be overthroewn. Mengistu agreed and the rest was History. The whole world was there. TPLF had told some governments that Derg refused to take care of the people, even though TPLF had told Derg they will leave any area where aid is needed and alos will not conduct any oprations. Derg said, will not open to foreign agencies unless you totally surrender. Birhan Weldu was pictured not by Sir Dimblby, but a Canadian Journalist who was with ITN team at the time. He could not stand the site of her and went in and asked the Irish nurse, that the child is dying. She took her in from the lineup and the rest is history.